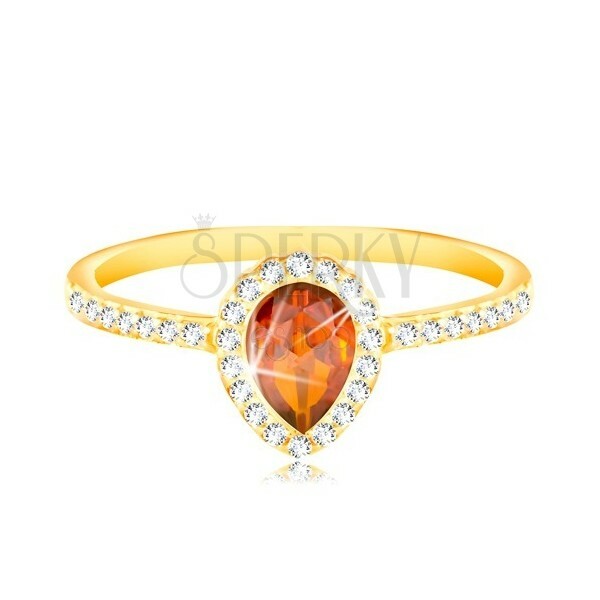 14K gold ring, shiny decorated zircon shoulders, cut tear in orange shade with clear sparkling rim. 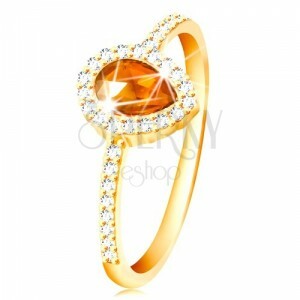 Ring made of yellow 585 gold has shiny shoulders that are inlaid with zircons around the decorative part. 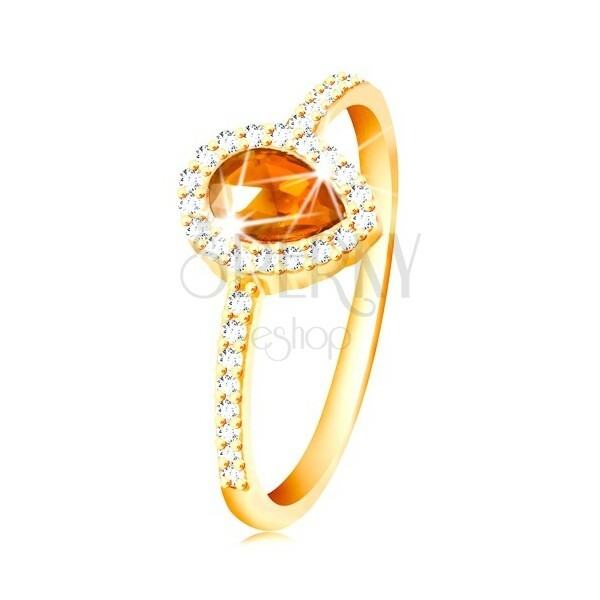 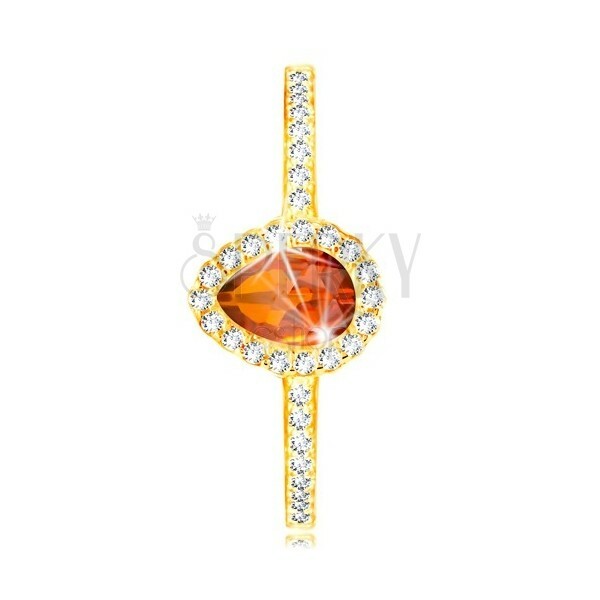 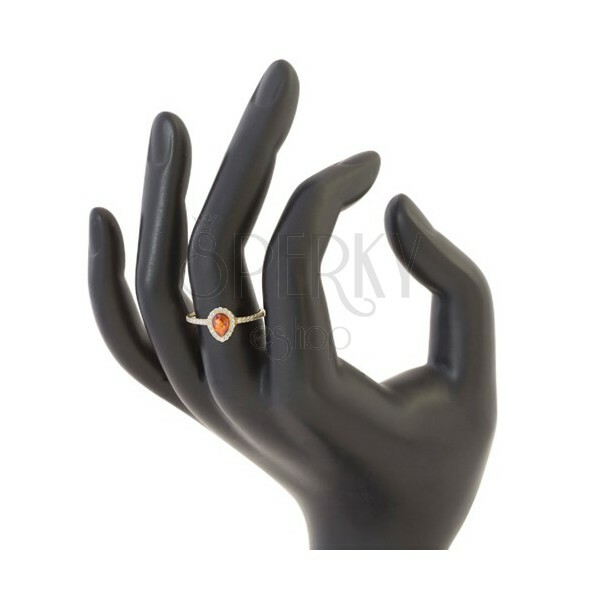 The ring is decorated with cut zircon drop in orange colour with a clear sparkling rim.